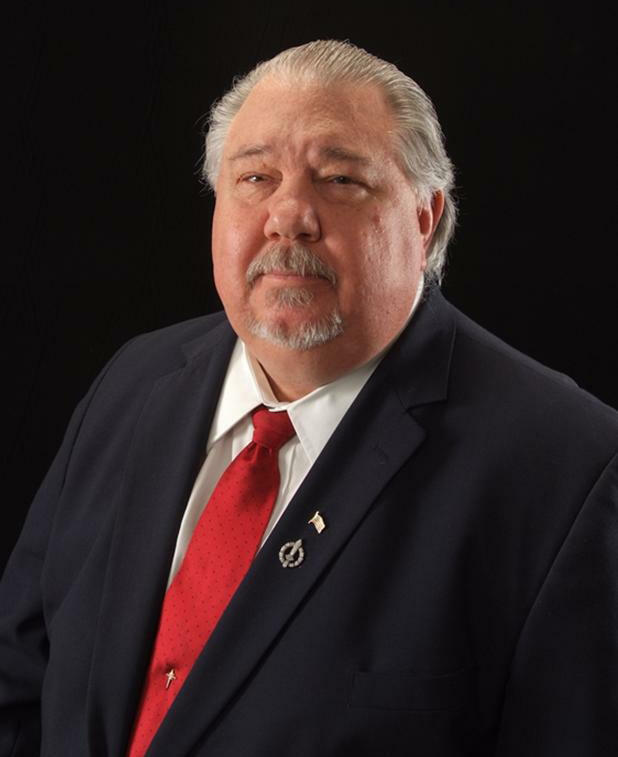 Read this candidate profile of Republican U.S. Senate candidate Sam Clovis. He was interviewed as part of IPR's 2014 Primary Voter Guide series. You have varied experience. You are a professor at Morningside College in Sioux City. You’ve been a talk show host. You were in the Air Force for many years. What from your experience has prepared you to be a U.S. Senator? I think you’ve touched on a lot of those things. I think that if you look at my experience… 25 years in the military, and the various jobs and opportunities I had while serving the nation, my experience as a business man, and my academic preparation… my experience in a variety of other fields, including homeland security, foreign policy, national security policy, creating jobs and all those things. I think that if you take the resume in total and compare it to the other candidates, I don’t think there’s any comparison. I think that I’m probably the best prepared for this job and the opportunity to become a servant of the people of Iowa. What do you think is the one thing you can do in the Senate to help create jobs in Iowa? Well, it’s kind of an interesting question you ask because, first off, our unemployment rate in Iowa is only 4.3%. Which is, if you take a look at where we stand nationally, it’s about two thirds of what the national rate is. We rank probably in the top 5 states as far as unemployment goes. So the creation of jobs in Iowa becomes a much more focused option for the governor and the head of economic development for the state. As a U.S. Senator the best thing I can do is something for the nation, and that is starting to clear the unemployment rolls by reducing uncertainty in the American economy. And the best way to do that is through fundamental tax reform. And that is really, clearly the approach that has to be taken. I would be a leader in that effort, find allies in the U.S. Senate and the House of Representatives. I’m a fair tax person. I believe in repealing the 16th Amendment, abolishing the IRS and creating a national sales tax that we would then be able to fund our government on, and it would incentivize Congress to keep the economy growing and flowing. It would bring home trillions of dollars of capitol from overseas and incentivize foreign countries and foreign companies to come to the U.S. and invest their money here because we have the best work force in the world. That’s the general way that you overall increase jobs in the state of Iowa, and I think that’s probably the approach that needs to be taken. A March Iowa Poll shows 65% of those polled support an increase in the minimum wage. Would you support a minimum wage increase? No, I would not. I think that the reason that I don’t is that the minimum wage structure that we have… You want to talk about polls… let’s go out and survey jobs around the state of Iowa. You’d be hard pressed to find jobs that pay the minimum wage. Most jobs pay above the minimum wage. And I think that this is, again, take a look at the demographics of those that have minimum wage jobs. The majority of those people are males 16-25 that still live at home. The percentage of people that earn minimum wage that are actually heads of household is extremely small. And so the whole idea of raising the minimum wage, to me, is a form of taxation. And by the percentage that you raise the minimum wage that’s exactly the percentage of people that work at those minimum wage jobs that will lose their jobs. And at the minimum wage of a person without a job is zero. So this is to me a form of taxation. And frankly it’s an approach that makes people feel good, but in fact hurts the economy. And we’re not in a position right now where we need to increase the number of people on the unemployment rolls, and increase the number of people on food stamps and increase the number of people who are going to be applying for other means-tested welfare programs. It’s not the time, and raising the minimum wage right now is nonsensical. And it certainly doesn’t help to improve the economy of the U.S. in any way, shape or form. The proposed changes to the renewable fuel standard seem to signal that the administration may move away from grain-based alternatives to conventional fuels, of course we’re mostly talking about ethanol. What would you do in Washington to work in a bipartisan way on energy policy that would benefit Iowans as well? Well, I think that first off let’s be clear about what the administration’s proposals are… it’s not the administration so much as the Environmental Protection Agency. And the EPA, in clear view, is using the areas in the Gulf of Mexico that have become Dead Zones for marine life as an excuse to come back and examine what we have here. And this is a pretty complex issue…. I’ll try to keep my answer concise. Right now there are about 2 billion gallons of ethanol reduction in the RFS proposed for 2014… now 1.2 billion of that reduction comes in the producing of biomass ethanol production, which is lagging severely. And we’re actually fining oil companies for not blending biomass ethanol even though we can’t produce enough biomass ethanol to support the requirements. Who would have thunk in 2005 and 2007 that we would have been able to see such a reduction in the consumption of fossil fuels that we’ve had? So the EPA is caught here trying to do what is best for the environment and at the same time is trying to not succumb to the pressures of the oil companies. And oil and natural gas companies in America have been receiving subsidies for over a hundred years. So right now what we have, and this is absolutely scientific, we’ve surveyed farmers all over the state and 9 out of 10 farmers who produce corn for ethanol would be more than happy to let the market play out and let the energy markets find their own levels if subsidies were removed from other forms of energy production to include oil and gas. If that were the case farmers feel that they would be able to compete in the market place. And I think that says a lot about the Iowa farmer and says a lot about how they feel about government interference in markets goes. And I think this is something we have to take a look at. I don’t think that this administration is very serious about energy policy in this country because they won’t allow the completion of the Keystone XL pipeline. They won’t expand the exploration for fossil fuels on public lands. And so this administration is not interested really in a comprehensive energy policy that would make America energy independent. They are still picking winners and losers in this market. And unfortunately, it seems that they are more interested in supporting people who are going to put money into their campaign contribution coffers than they are in doing something serious about energy policy. Even with a former Iowa governor heading up the Ag Department, farmers were kept in limbo for years over the new farm policies. How would you represent the interests of agriculture and rural Iowa? For me that’s a fascinating question because, again, the farmers that I’ve talked to all across the state… Let’s be clear, there are certainly ag interests that are strong lobbying organizations that would prefer preferential treatment. But most of the farmers that I talk to, and again about 9 out of 10 farmers that I talk to, want the government out of their lives. And they want to be able to produce and do the things that are necessary for them to grow their crops, take their crops to market, be paid what the market will bear and be able to continue in this cycle of agriculture where the government has less to do with what’s going on instead of more to do with what is going on. The one area of interest is the insurance program. And I think that’s one area that requires a significant amount of study, because what we have is a claim that is made in a way generally about every 13 years on crop insurance. And in some parts of the country, claims are made every year on crop insurance. You have to ask yourself if a farmer in another part of the country is making a claim every year why are they farming in that particular area if the risk is that high? That doesn’t make any sense for the government to subsidize and support bad farming choices in other parts of the country and have people in the Midwest subsidize those bad choices, because this goes back again to where we need to assign risk at the point of exchange. We need to have risk assessment and risk assignment in the insurance program. And again, most of the Iowa farmers I talk to would just as soon have the government out of their lives and that includes the insurance program. Because if insurance programs were sold on the open market, farmers that were concerned about their issue and had them actualized statistically I think you would find it very interesting to see how many farmers would take part in private insurance programs and how many would be willing to take the risk themselves. This is really the issue and this is the one thing in the farm bill that I think is the most contentious. And I think if we have future farm bills that’s something that we’re going to have to address, because I think that it’s going to be difficult to get support for another farm bill in the country given the situation and the current state of the economy. The U.S. House has held dozens of votes to either repeal, defund or otherwise dismantle the Affordable Care Act. President Obama will not sign legislation repealing, defunding or dismantling this legislation. What are your ideas for revising the law? Well I think that we ought to take the president at his word. If he wants more people to be insured he ought to let the soon to be majority in the U.S. Senate and the majority in the U.S. House… If he’s serious about these things, and he said he is, he’ll listen to ideas, is to let us come forward with issues where we have partial repeal of McCarran-Ferguson so we can sell insurance plans across state lines, so that individuals can do that. Let’s create an umbrella for tort reform across the country where the states can indemnify themselves and create policy diffusion to create a more stable insurance situation. Let’s allow people to have large health savings accounts and medical savings accounts. Let’s allow those people to have those as individual things and roll them over, so they don’t expire every year... that they get to accumulate. Imagine how a young person, and I’m guessing that you’re a young person, imagine how it would be for you to be able to save money over time in your healthy years, and deal with, and by the time you reach retirement age, whatever that might be, you would have available to you to offset any needs you might have, several hundreds of thousands of dollars that you’ve saved over time. How about price transparency? You can’t go into a hospital or a doctor or any health care provider today… and if you asked for the price of a procedure that’s going to take place, you might get the price for an office visit, but you’re not going to get the price for anything else, because you can’t shop. Price transparency seems to me to be something that would be very important. How about getting rid of comparative effectiveness research? All of these things lower cost, and this is what the president wants. He wants more people enrolled and he wants lower costs and if he’s serious about it then let’s take a look at these things and allow the congress to bring forward legislation that makes these adjustments that would do exactly what the president says he wants done. We’ll see if he’s serious. And if he’s not serious about it, then in 2017 the opportunity will arise and perhaps we’ll get a Republican president and we’ll be able to repeal what is left of the bill. Because right now we don’t know what the bill is. There have been 38 modifications to it by executive order or regulation or other process or procedures. And investigation today in preparing for this interview, I looked into the issues and now we find in the new set of regulations published just this week that we find bailout coverage for insurance coverage to keep rates down. And this is not based on an economic decision. This is based on a political decision to keep rate increases from hitting people prior to the 2014 elections. This is how cynical this administration has been, and I don’t think we can take them at their word. I’m willing to do it. I’m willing to work with people in the other party and bring forward these options, but I think the president needs to show that he’s serious about what he says. Nearly every candidate running for office says they want to cut government waste and bring down the deficit. Name a program or department you would cut, and why? Well first off let’s examine the premise of your question. I found it interesting. We were in a candidate forum the other night in Bettendorf, and one of the candidates suggested that we have to attack fraud, waste and abuse. And I’m sitting there thinking to myself that when I first became active in politics, the very first election that I remembered was seeing the Democrat National Convention in 1956, and then Eisenhower running for office again. And they were talking about attacking fraud, waste and abuse in 1956. And we’ve had about 60 years of politicians talking about fraud, waste and abuse in the federal government and you can see how far we’ve come because it is still a constant topic of interest. The fraud, waste, and abuse aspect of this is really in three major programs, Social Security, Medicaid and Medicare. That’s where mandatory spending is. It’s about 85% of the budget. Those things have to be addressed and I’m willing to talk about those at some other point. But the fraud, waste and abuse that we see in the government, in the daily operation of the government is really something that we need to have a stronger inspector general program in our departments. I’m a former inspector general of two federal military commands and I know exactly what’s involved with that and I know the power of the inspector general if he or she is allowed to do what the charter of the Congress says we are supposed to do. So there are ways we can do this, but as far as cutting government programs? There are many I’d like to see. I don’t see the point of having a Department of Education at the federal level. Education should be, at best, done at the state level and local control of education is what we have there. We need to privatize the student loan program, because a right now the federal student loan program is simply another source of taxation that provides funding for the Affordable Care Act. We need to look at combining Housing and Urban Development into the Department of Health and Human Services. We need to look at combining the departments of Agriculture and the Interior. I don’t see a point in having a Department of Commerce because we have 40,000 bureaucrats that I’m not sure what they do. I would like to see the 3 million federal employees reduced to 2 million employees over the course of 10 years because that would save us about a trillion dollars a year in costs. And it’s not really the number of people in government that matters: It’s the reach of government. So we need to take a look at how regulations are developed, at how the Congress of the United States refuses to conduct the oversight that’s necessary and we allow these agencies and departments through the growth of regulation to continue to reach into people’s lives. Because as government expands, liberty shrinks and that’s contrary to my whole notion of what governance is about. Are we spending enough on national defense? Well, I think it’s difficult to say what enough is. I think what we have to spend is enough to ensure that we can protect the interests of the United States. And those interests are the protection of the citizens of the nation not only in America, but outside America. Protect our access to resources we need for our economy. And imagine how that would change if we were energy independent in this nation? And finally we have to protect our allies. And right now we see the stretch of that certainly going on in NATO. NATO was expanded dramatically here with the fall of the Iron Curtain and with the inclusion of the C-10, the Central European states. This has become a real stress point given Russia’s activities in Crimea and Ukraine, but I don’t see us being particularly attentive to the needs of our ally in Isreal. And I don’t see us being particularly attentive to some of our other allies out there: South Korea and Japan. When we see other actions out there that we have the potential for high threats, we still haven’t gotten our heads around the notion of non-state actors and the threat of terrorism. I still don’t think we’ve moved our military thinking or our political thinking to truly address that issue. And I ought to know. I’ve been doing this since the 1980s. I’ve been involved in this type of development of war gaming and scenario-based decision making for all of these years and I still occasionally consult in these areas. So I just don’t think that we’ve really moved ourselves to this point and a lot of that has to do with structural issues. I mean the structural issues have to do with the procurement system we have in the military. They are still very much service oriented as opposed to interoperable. I think interoperability is a way to save a tremendous amount of money in our armed services. I think we are far too dependent on civilian contractors in the United States military. I’d like to see us depend far more on heavily on uniformed individuals both on active duty and garden reserve and reduce our dependence on civilian contractors. So there are ways for us to save money dramatically in the military and still keep our readiness and modernization efforts in full spring. Immigration reform is an issue important to Iowa, but has stalled in Congress. What immigration reforms would you support? Well I had the opportunity in the early part of this century, in the 2006 time frame, to work on projects on implementation strategies for, at that time, McCain-Kennedy, which was the immigration reform bill that was coming through the Senate in 2005 and 2007. And I’ve done a tremendous amount of research on this. I’ve published and presented papers on this at national conferences on immigration reform, so I know a little bit about this. The issue for me is that there is a process that we ought to follow, and not the least of which is that we need to secure our borders. Because right now we have no way of knowing, or monitoring, or controlling the amount of people who are coming into our country illegally. After the 1986 legislation was passed, the first year or two of enforcement, the number of people coming into this country illegally dropped dramatically. And I mean because we put several thousand more patrol agents on the border. We were able to canalize the approaches into the country because there are some places that people simply cannot come in. So we concentrated our efforts on places that were natural paths for entry into the U.S. illegally. And we had a program that was there to monitor people who overstay their visas. Back then the number was that about 25% of the people illegally in the country were here on visa overstays. Today that estimate may be as high as 40% of the people here illegally are here on visa overstays. It seems to me that if the NSA can track billions of emails and cell phone calls, it seems to me that we should be able to come up with a tracking system for people who enter this country on a visa. And we ought to be able to find out where they are and who they are and why they have chosen to overstay. Because if they’re here, and they’ve overstayed, they need to be deported. It’s simply that way. After we enforce the border closings then we need to enforce the laws that we have on the books. And I think a good time frame for that would be 4-5 years to go ahead and go through the process, systematically enforce those laws. Ask our employers in the country, and by the way there are 6 million companies that have employees in the country to review and refresh their I-9 requirements and this would be check the documentation of every person who works for them and cross check those through the IRS or the social security administration to make sure the proper taxes are being paid and that we’ve properly identified them. Anyone who has committed identity fraud would have to be deported because not only have they entered the country illegally, but they’ve also committed another federal felony. Identity fraud is a very serious issue and if you’re receiving employment or benefits from that, you need to be asked to leave the country. Employers who knowingly employ illegal immigrants need to pay a penalty for that. After we have gone through that process and we’ve settled in on those that have remained in the country, then we’ll have to decide on what policies go forward from there. But under no circumstances should a person who entered this country illegally be given the gift of American citizenship at any time. If they want to become an American citizen and they entered this country illegally and they haven’t been deported then they can return to their home country and apply and come into this country legally to obtain residency status and a green card and a path to citizenship. No one should be rewarded with citizenship in this country who enters this country illegally. Not now and not ever. According to figures from NASA, 97% of climate scientists agree that climate-warming trends over the past century are very likely due to human activities, and most of the leading scientific organizations worldwide have issued public statements endorsing this position. Do you believe the science? I am extremely skeptical. I have looked at the science and I have enough of a science background to know when I’m being boofed. And a lot of the science is junk science. It’s not proven; I don’t think there’s any substantive information available to me that doesn’t raise as many questions as it does answers. So I’m a skeptic. I think when it comes to anthropogenic climate adjustments we need to take a look at the history of our world, and it needs to go farther back than just the last 135 years where we’ve taken serious note of what is going on. Because I think we find indications of climate change that are as cyclic as sunspot changes, Krakatoa, volcanic activity. There are all those other things we should be considering that might influence that. Does man have an impact on the environment? Absolutely. But there is a difference between having an impact on the environment and leading us to something we call climate change. Because we’ve changed global warming to climate change, because I’m not sure what climate change means. And the premise of that indicates that we can also have some control over the climate. And I’m not sure that’s possible either. So the end of this is, it comes back to the point that really what we see with a lot of this global warming, or whatever the climate change, is really about income redistribution from rich nations that are industrialized to nations that are not. And it comes down to the false premise that we ought to consume on the basis of our population instead of our economy. If we have 20% of the world GDP it wouldn’t be a surprise to anyone that we would consume 20% of the energy of the world. So those are the type of things that are offered as false premises or are presented as some form of intellectual deception that in fact if we were intellectually honest we would take a much different look and a much broader view of these things. I could probably be convinced, but right now I’m not. The half dozen Republican candidates in the 2014 primary race for U.S. Senate met Wednesday night in Des Moines for a debate. But as Iowa Public Radio’s Clay Masters reports it wasn’t much of a debate… more of a chance for voters to figure out who’s running. 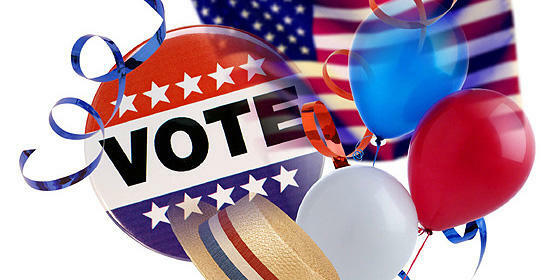 Primaries a Bellweather for Iowa's U.S. Senate Race? On Tuesday, six states held nominating contests and the Republican establishment scored big wins. Are the results a bellwether for Iowa’s primaries in less than two weeks? Political analysts Dennis Goldford of Drake University and Tim Hagle of the University of Iowa give us their thoughts on the primaries for open congressional seats here in Iowa. Host Ben Kieffer asks how the issues of minimum wage and the Affordable Care Act are being talked about by Iowa's GOP candidates for U.S. Senate.